Believe it or not, Cambridgeshire is, technically, a relatively new county. It was formed a little over four decades ago in 1974 when the counties of Cambridgeshire and Isle of Ely were merged with Huntingdon and Peterborough. The county is, obviously, most famous for the city of Cambridge, which is home to the internationally acclaimed Cambridge University, as well as Christ’s Pieces park and Cambridge Castle. Despite the fact that the actual county of Cambridgeshire is still young, the area has a great deal of history. It has seen blood spilled, battles won and lost, and great minds formed. As with any place which has been so crucial in the history of its country, and indeed the world, Cambridgeshire is said to be home to a variety of spirits, reluctant to leave their beloved county. 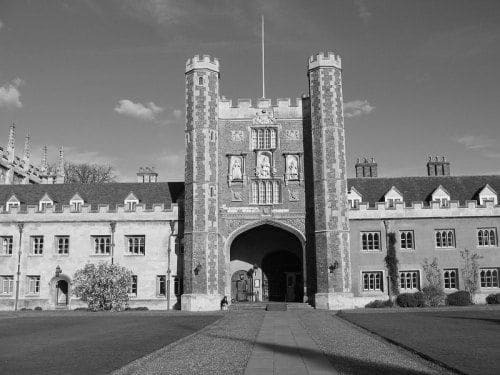 There are hundreds of haunted locations in Cambridgeshire which we could cover, but for now let’s stick to five of the most haunted. Peterborough Museum is regarded by many as the single most haunted location in the city of Peterborough, and it isn’t hard to see why. The building itself dates back to the 19th Century when a newly married magistrate commissioned its construction. The home was built on the site of a 16th Century building, the cellars of which were the only thing remaining. After the desolation of the magistrate’s marriage, the home was sold on and used as a hospital from 1857 to 1928. Since modern medicine was still in its infancy during this period, the walls absorbed a great deal of pain and suffering, which likely accounts for much of the paranormal activity reported at the museum today. 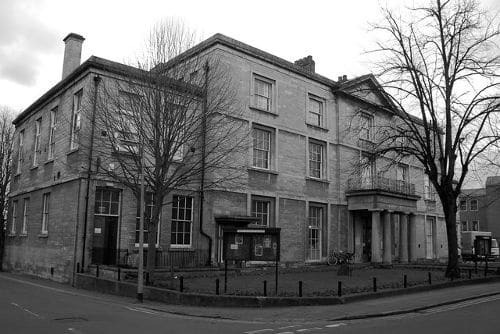 In the years since its opening as a public attraction, Peterborough Museum has welcomed almost as many would-be ghost hunters as it has art connoisseurs, among them the Most Haunted team, who conducted an investigation at the site in 2005. The museum is said to be haunted by the ghost of Thomas Hunter, a World War One soldier who died from battle wounds while being treated at the hospital in 1916. Reports of his spirit wandering the halls began almost immediately following his death, with the nurse who had been treating him being the first to experience an encounter with his post-rigour mortis incarnation. Over the decades, he has appeared to both staff and visitors of the museum and became quite familiar to the family of a live-in caretaker who worked in the museum during the 1930s. The aforementioned cellars are also extremely active and seem to be haunted by a poltergeist. Those who have found themselves in the Peterborough Museum cellar for whatever reason have reported hearing footsteps, being struck by unseen forces, and even encountering the unnerving apparition of a figure cloaked in black. If you’re travelling to Peterborough Museum to take in the paintings or maybe see some ghosts, you might be tempted to take a haunted detour at Conington Level Crossing. This is a narrow crossing where an accident is never far away, which is why many Cambridgeshire natives have taken to calling it The Crossing of Death. In recent decades, a number of precautions have been taken to reduce the risk of fatal accidents occurring at Conington Level Crossing, but for the first half of the 20th Century, making it through the crossing without injury was almost an impossible task. Two notable accidents happened at the crossing during the 1940s, the first of which saw a truck carrying German prisoners of war being struck by lightning while on the crossing. Six of the German prisoners lost their lives in the accident – though half a dozen Nazi soldiers being struck down from the heavens might not have been such a bad thing. A second accident occurred on the crossing in 1948. A Colonel Mellows was driving through the crossing accompanied by his labrador when his Chrysler was struck by a powerful express train. Mellows and his dog died instantly. 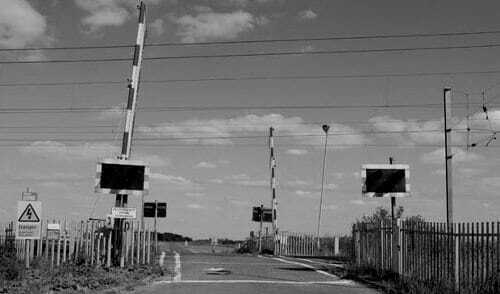 Since that decade, there has been much paranormal activity reported at Conington Level Crossing, with most people attributing it to either the deceased German soldiers or Colonel Mellows; possibly even a combination of the two. Voices are heard, sometimes yelling, sometimes crying, and a phantom car looking as though it came straight out of the 1940s is often seen trying to use the crossing before disappearing into thin air. There have also been reports of the crossing gates opening and closing, seemingly by themselves. Christ’s College is one of thirty-one constituent colleges of Cambridge University and traces its history all the way back to 1437, when it was founded by noted education fanatic William Byngham. It is only fitting that a college named after the lord and saviour of Christianity should be home to a number of residents who deemed it necessary to return to this world after their passing. Staff and students at the college, who are generally fairly logically minded, have reported the paranormal activity associated with most hauntings such as disembodied footsteps, as well as voices and sudden bursts of cold. The most famous spirit of Christ’s College is frequently seen wandering around the college swimming pool in a state of silent contemplation. The ghost is believed to be that of former college fellow Christopher Round. It is said that Round, during his earthly life, was involved in a passionate affair with a lady named Mary Clifford, who was also in a relationship with Phillip Collier, a colleague of Round. One night, both of Clifford’s lovers found themselves drinking together and several hours later were seen wandering the college grounds, extremely inebriated. Collier, in his drunken state, fell into the swimming pool and was unable to stay above water. He called to his colleague to save him, but Round, spurred on by his desire to have Mary Clifford all to himself, left him to drown. Round is said to have been overcome with grief for not saving his drowning colleague and was haunted by his actions for the rest of his life. He most commonly appears at the swimming pool on nights when the moon is full, but is also believed to visit the scene of his greatest regret on the anniversary of Phillip Collier’s death. Going from one college to another. 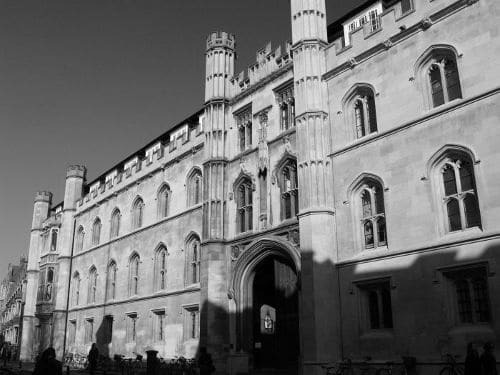 Corpus Christi College is also a constituent college of Cambridge University and, much like Christ’s College, has been the scene of much paranormal activity over the centuries since its founding. The most infamous spirit in Corpus Christi College is the ghost of Henry Butts, who was a physician at the college in the 17th Century. When an outbreak of the plague swept the campus in the early 1630s, Butts was there to care for the sick and was widely credited with preventing a greater loss of life. Despite the praise he received for his heroism, Butts was a terribly unhappy man and suffered from depression. He took his own life on Easter Sunday 1632 by hanging himself in the Master’s Lodge. Since his suicide, Butts’ spirit has been encountered by staff and students alike. The ghost of Butts has been reported to be a half-length figure garbed in white with a large and open gash on his neck. According to legend, some students attempted an exorcism of Butts in 1904, but that, obviously, did not prove successful. For those who really love their ghosts, there is little more thrilling than spending the night in a supposedly haunted hotel. We include the Haycock Hotel on this list with those people in mind. This hotel dates all the way back to the 16th Century and has seen an abundance of wealthy and famous guests, most notable of which was Mary, Queen of Scots. Unfortunately for Mary, she did not get the chance to enjoy the free wi-fi or scenic surroundings afforded to most modern guests of the hotel. In fact, she visited the Haycok Hotel under some pretty terrible circumstances. 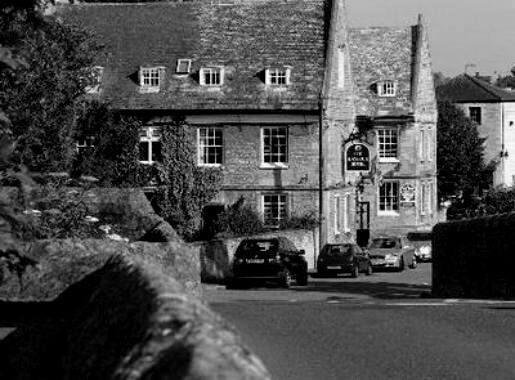 She stayed at the hotel during its time as a coaching inn while she was travelling to Fotheringhay Castle, where she was to be executed for treason (the it crime of the day). Although Mary’s body moved on from the Haycock Hotel after a short rest, it seems that her spirit stayed behind to make use of the amenities. Over the centuries, those who have stayed in the old portion of the building have reported experiencing a number of unexplainable events, such as disembodied voices and footsteps. Though those are only minor occurrences in the minds of many paranormal enthusiasts, they are perfectly terrifying if you are not a fan of ghost stories and urban legends. Many guests even claimed to have encountered the spirit of Mary, Queen of Scots in the halls and in their rooms. It should be noted that Mary, Queen of Scots is also said to haunt Yorkshire’s Nappa Hall, Bolton Castle, and a dozen or so other places throughout Great Britain. If the former Queen of Scotland is indeed present at the Haycock Hotel, she is one busy ghost. Be brave, spend a night at the Haycock Hotel!